Let Jones Scaffold Co. take care of all your scaffolding needs. We offer a full line of quality scaffold available for rental or purchase. 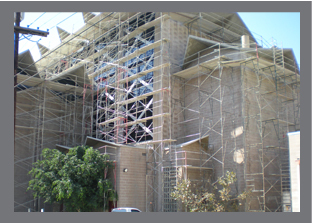 We have over 40 years of experience erecting and dismantling scaffolding for general contractors and construction companies in a safe and timely manner. Call for your quote today (800) 266-3864.